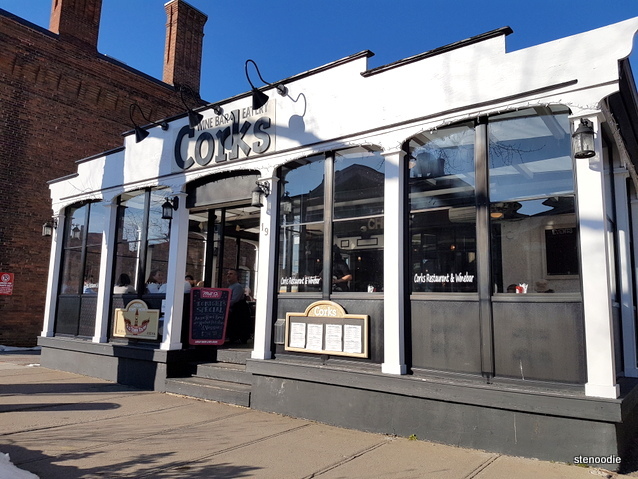 Before we left Niagara-on-the-Lake, we had a late lunch/early dinner at Corks Winebar & Eatery. 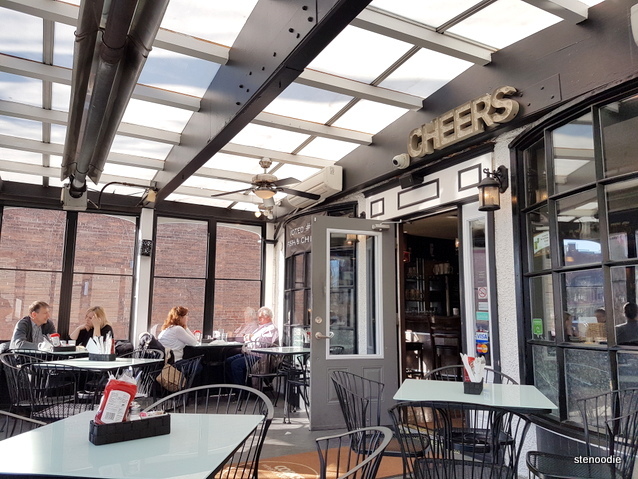 The storefront of this restaurant already piqued my interest when we were strolling down Queen Street in this little tourist town because it looked so modern compared to the other storefronts and inviting. Thus, we walked in without hesitation (or even looking at the menu) to try out their food. 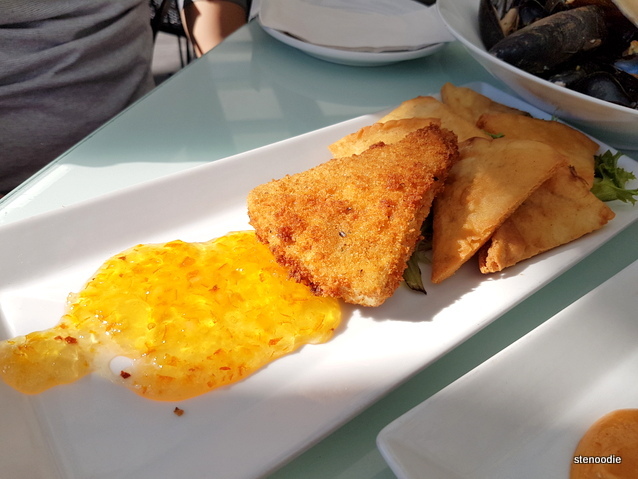 We decided to share three appetizers since none of the mains appealed to us and this way, we were able to try more items by sharing! 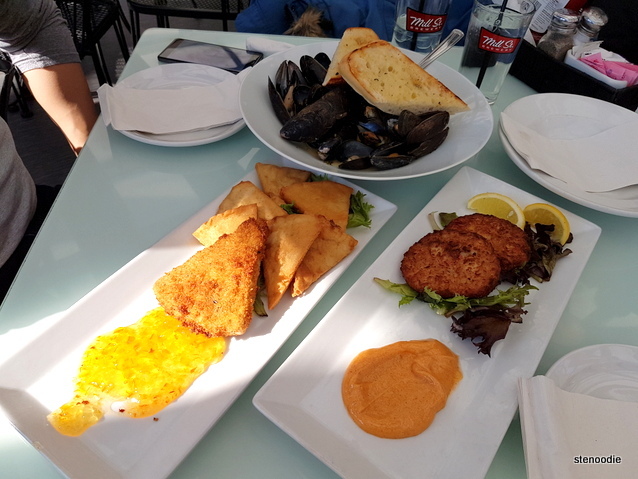 😀 We chose the Fresh P.E.I Mussels, Crab Cakes, and Pan Fried Brie. 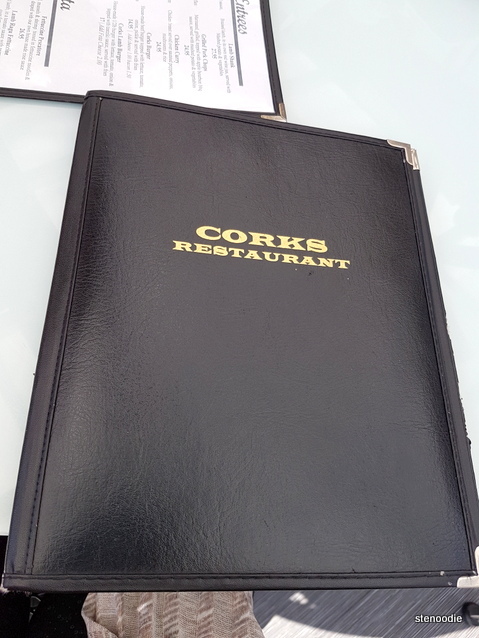 Our server was very friendly and cheerful. All the appetizers arrived at the same time. I liked all of them! 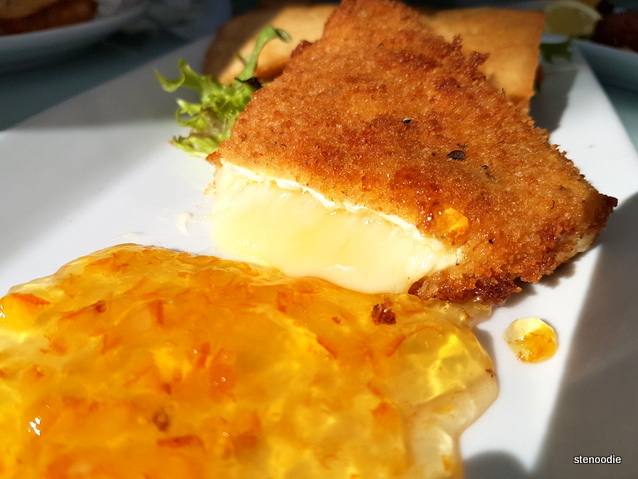 Each one was prepared really well and the portions were very reasonable. 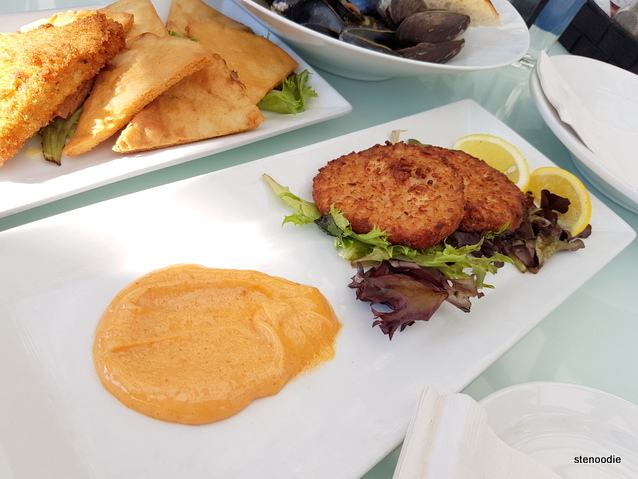 This entry was posted in Food and tagged 19 Queen St, Corks Niagara on the Lake, Corks Winebar & Eatery, Corks Winebar & Eatery porch, covered porch, crab cakes, food blog, foodie, fresh P.E.I. 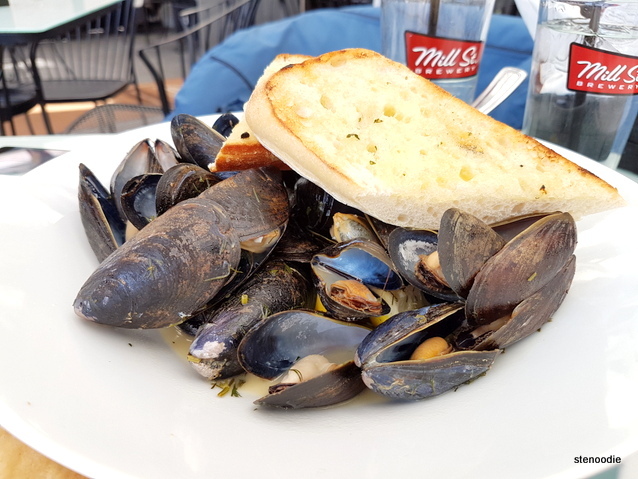 mussels, Niagara on the Lake, Ontario, restaurant review, restaurants at Niagara on the Lake. Bookmark the permalink.